Meet the Killard House School. Located in Donaghadee, North Ireland, the Killiard House School’s motto is: “Together We Can.” The school is dedicated to providing for special needs students with moderate learning difficulties, speech language difficulties, and those on the autistic spectrum. The teachers, staff, administrators, and community work together as a team—or “family,” as the school states—to meet the diverse needs of their students. In December, 2016, the school’s choir programmed Leonard Coen’s “Hallelujah” with Christmas-themed lyrics. The soloist, then 10-year old Kaylee Rogers, is a Killard House School student and a member of the school’s choir. About her performance, the Principal of Killard House School Collin Miller stated: “For a child who came in and wouldn’t really talk, wouldn’t really read out in class, to stand and perform in front of an audience is amazing.” Music education can transform lives. This performance is just one example. Yes. To demonstrate our solidarity with and support for all those who are suffering, we’ll post one example of active music making for positive social transformations every day from today (08/16/2017) until the American Labor Day Holiday (09/04/2017), at which point we’ll resume our regular schedule of posts on related topics. Artistic citizenship goes beyond academic talking and writing about social justice because it emphasizes actions for transformation. “Intellectualizing”—reading, writing, and discussing—do not by themselves move people to take meaningful actions for change. To motivate people to join a social movement of any kind, small or large, it’s essential that they engage actively. 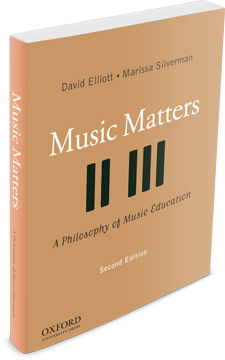 For example, in addition to learning to make and understand music, students in school and university music programs might—should?—learn to compose, arrange, perform, and record songs that expose and challenge a wide range of injustices. These are concrete, reflective-musical “doings” that have the potential to develop students’ lifelong dispositions to act positively for change. Engaging in some kind of action is essential because people’s identities “transform as they become socially active, and actions for social justice create new categories of participants, and political groups: identities modify in the course of social interaction” (McAdam, Tarrow, & Tilly, 126). As Jean Anyon (2005) says, “One develops a political identity and commitment … from walking, marching, singing, attempting to vote, sitting in, or otherwise demonstrating with others” (142). An ethical spectacle is a “dream” imagined (“I have a dream,” said Martin Luther King) that’s made concrete when members/supporters of socially just movements—for example, is there an action-group called “Music(k)ing Educators for Freedom and Justice”?—participate democratically in creating the spectacle. Their actions express their resistance. (171). Duncombe cites the example of the American civil rights movement in which leaders often modeled their interracial “beloved community” in the ways they organized and carried out their protests, which included singing and playing music in local, regional, and national situations. In these cases, music making and listening were not only emotional escapes and sanctuaries; performances were not usually “staged”; instead, music making, listening, and moving were participatory. The music and social meanings of ethical spectacles are embodied and expressed in the actions of transforming the oppressors and the oppressed. An ethical spectacle “demonstrates” against oppressions. Ethical spectacles help to disrupt cultural hierarchies, support and build safe communities, promote diversity, and engage with reality while asking what new realities might be possible (Duncombe, 126). Our school students and future music educators can—we believe they should—learn to think critically about and be prepared to create small and large ethical-musical spectacles in/for their schools and communities. 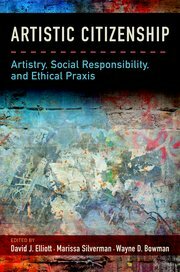 Crucially, if we conceive “music” not as a noun with rigidly encoded power relationships but, instead, as a process of mutual music making, shared musical-ethical responsibilities, and reciprocal musical power sharing toward social projects involving sympathy and empathy, then we might find major pathways to social reconciliations. 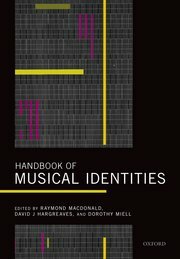 Many kind thanks to Raymond MacDonald, David J. Hargreaves, and Dorothy Miell for including us in your recent volume, Handbook of Musical Identities. There, we argue that explanations of why and how music making and listening contribute to many kinds of identity formation—including musical, personal, social, cultural, gendered, and ethical identity development—should begin with a concept of personhood. In other words, selfhood and personal identity are not identical with personhood, but primary dimensions of it. Part one of our chapter presents an embodied-enactive concept of personhood. Part two provides philosophical arguments that support our concept of personhood and explain the roles of empathy, ethical idealization, and moral communities in the co-construction of personhood, musical identities, and musical experiences. And part three knits parts one and two together by offering reasons why music making, listening, and musical praxes can serve as “affordances” for lifelong experiences of identity formation and “full human flourishing,” or eudaimonia.